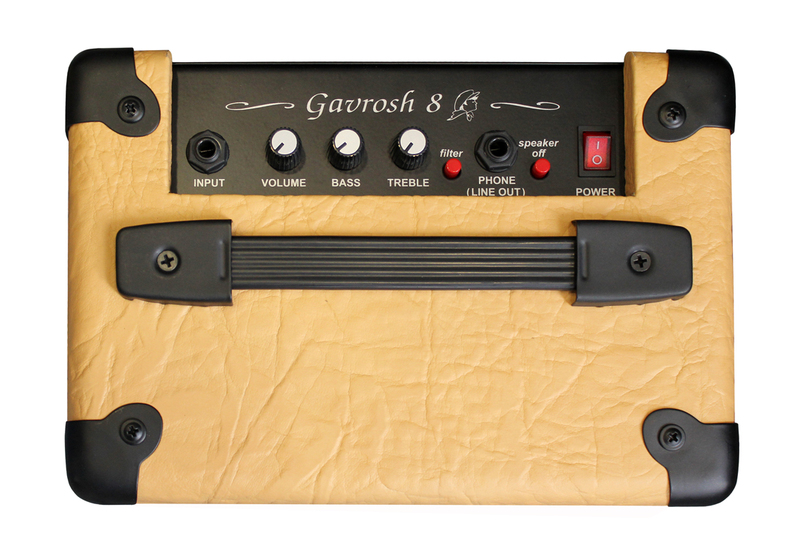 GAVROSH-8 All tube single-channel guitar combo amplifier, designed for home practice. 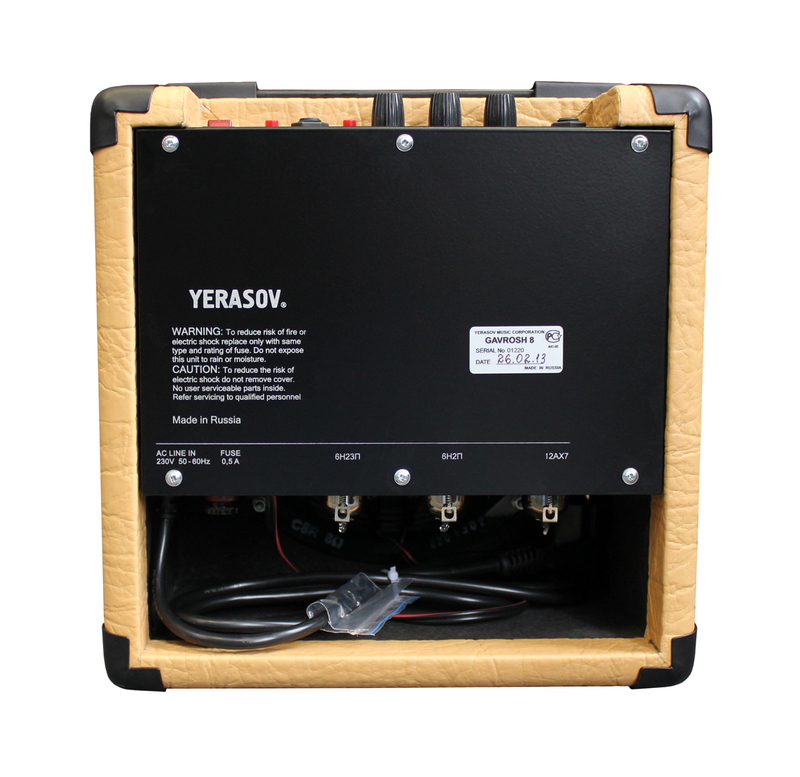 The preamplification section includes volume control and 2-band EQ. 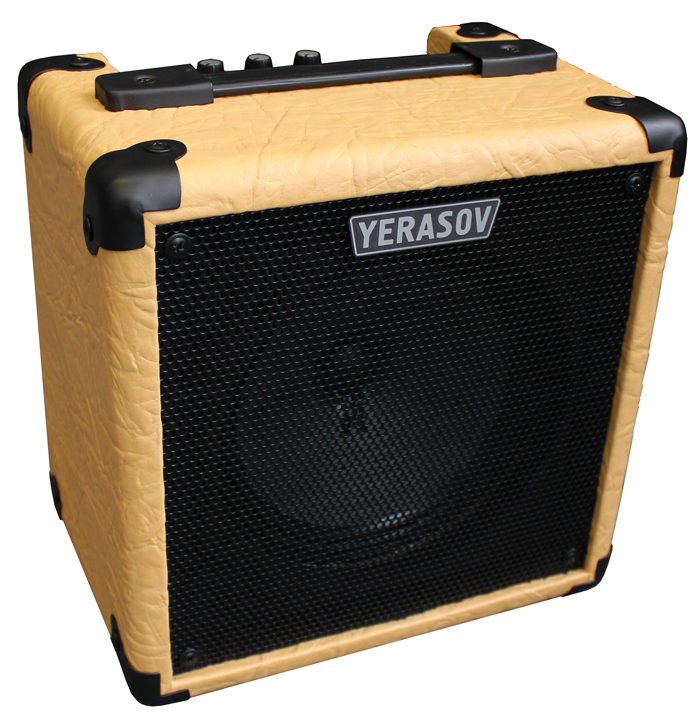 The GAVROSH-8 combo is ideal for home practice as it produces a pure sound. To get the sound we recommend to use external overload pedals or effects processors. 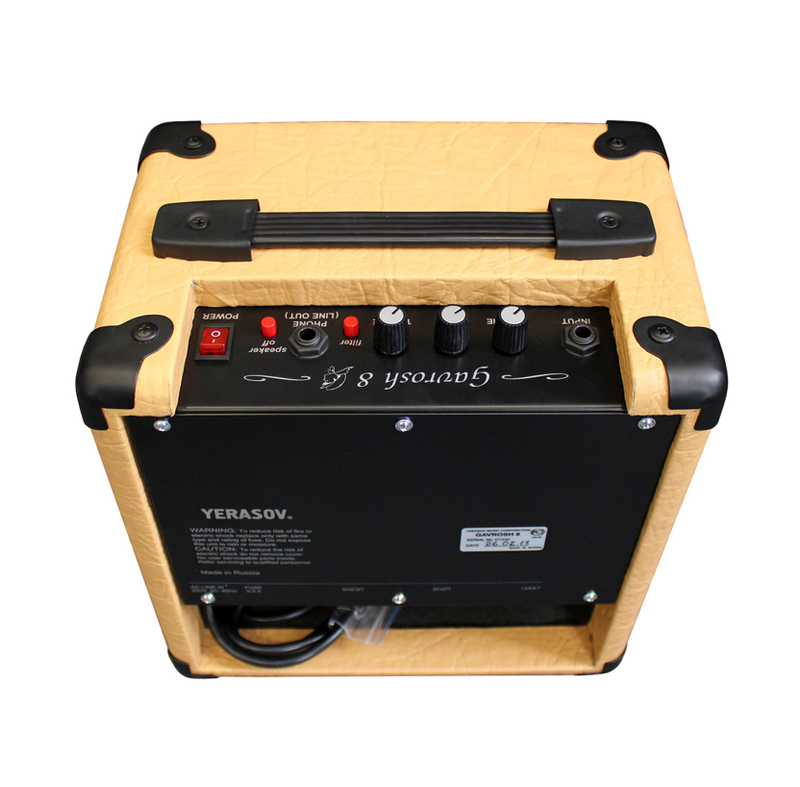 Specifically designed to work with effects pedals and includes a switchable Overdrive filter that cleans up the sound . Includes a headphone jack socket for late night practice and a mute for the speaker. 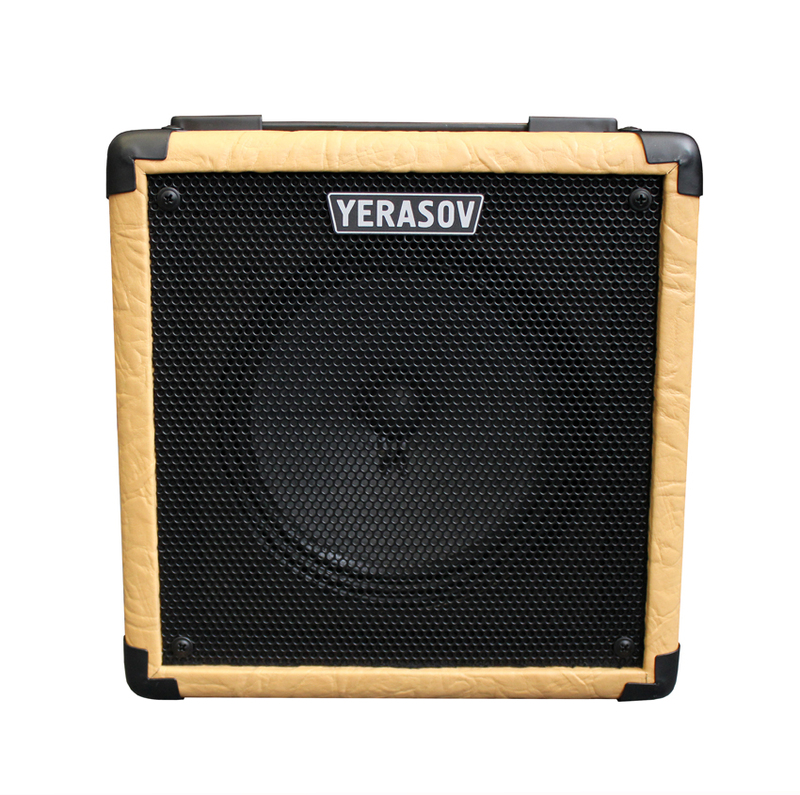 Speaker: Celestion Eight 15 8 Ohm 8"